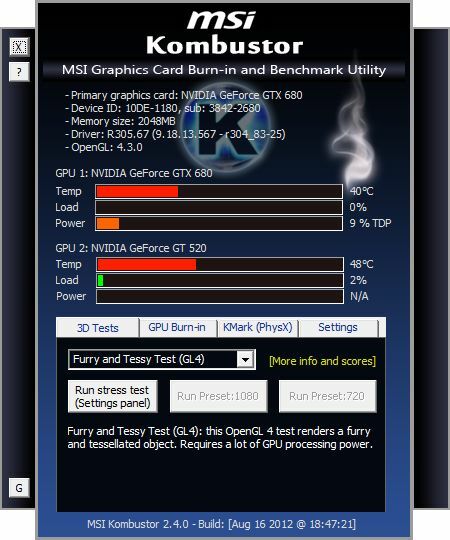 launched GeForce GTX 660 Ti as well as a new stress test. This new test, that mixes the fur rendering + tessellation, produces more GPU load than the regular fur rendering stress test, especially on GeForce cards. On Radeon cards, the test produces the same kind of load than the furry test. 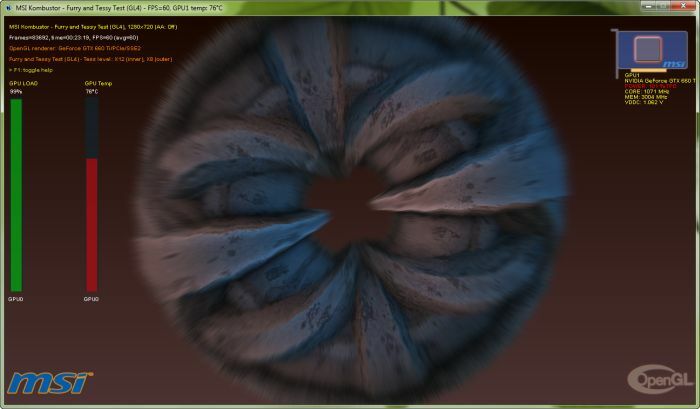 New: added new OpenGL 4 test (fur rendering + tessellation) in the 3D Tests panel. New: added support of GeForce GTX 660 Ti. 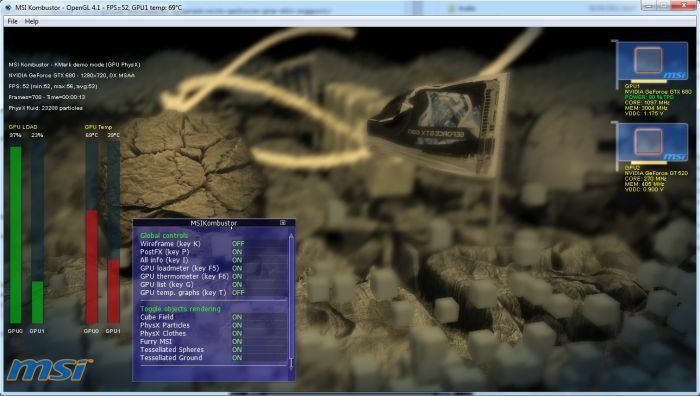 Update: compiled with ZoomGPU 1.8.5. Poor NVIDIA, when they think they have managed to reduce the furry donut’s load, you make it worse. Oh my God, my GTX670 is overwhelmed… Crappy card!